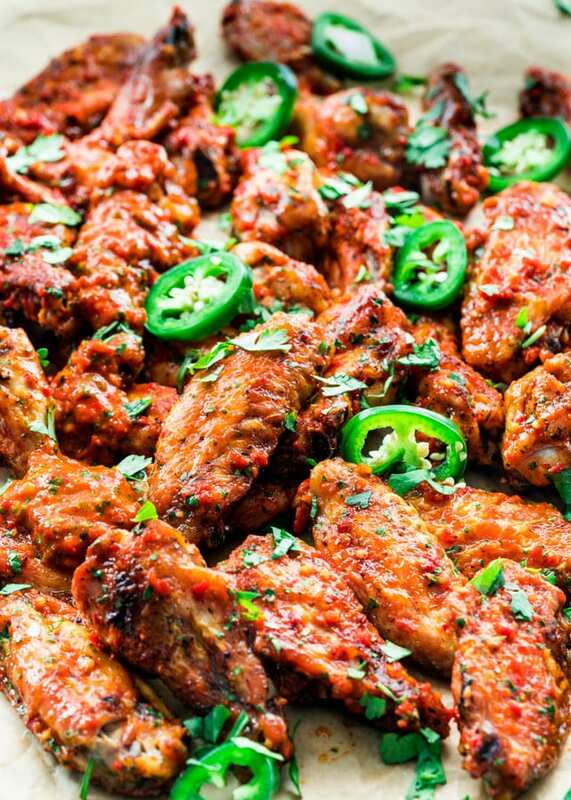 These Red Chimichurri Chicken Wings are seriously crispy and best of all they are baked. 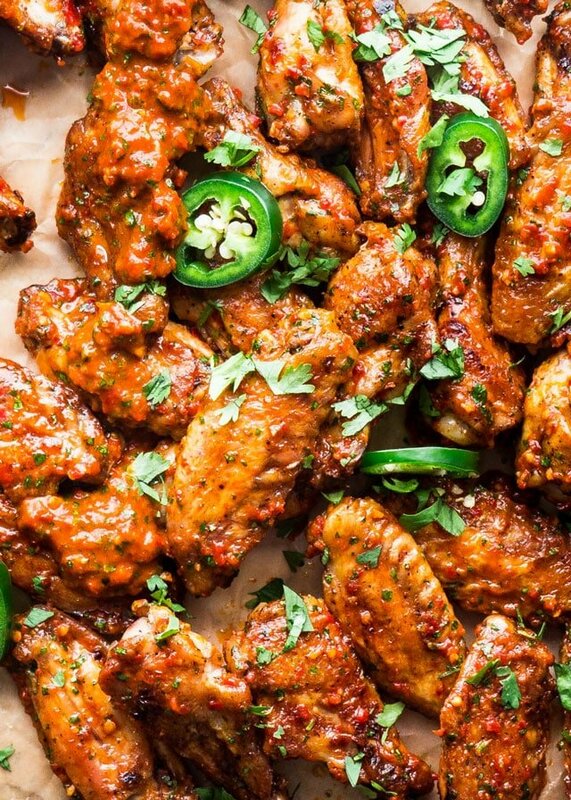 But let’s face it, these wings are really ALL about that RED chimichurri sauce, and that sauce is the bomb! I have to say that this post is really about the red chimichurri sauce because I am obsessed with it. It’s out of this world, so delicious and so versatile. If you like the usual more common green chimichurri sauce, as the one I used with these meatballs, you will absolutely love this red chimichurri. It’s so great, you can use it on steaks, chicken, pork, chicken wings like I did, on sandwiches or burgers, the sky is the limit. First of all, I have to give credit where credit is due. I got this recipe from a Brazilian restaurant here in Calgary called Bolero. If you’re from around here, you’ve heard of this place, especially if you’re a meat lover. It’s the kind of restaurant where they bring different meat options to your table and carve them right there. Trust me, it’s so good, one of my favorite places. My new awesome assistant, Nicole, works there and got the recipe for us from the head chef. Of course the ingredients were restaurant size, and it would have made enough to take a bath in all that chimichurri sauce, which I probably wouldn’t have minded. We did adjust the quantities for the ingredients, and as you’ll see in the video we still ended up with lots of red chimichurri, however in the recipe, I cut it down further so if you follow the recipe you should have just enough for these wings, which would be about a cup and a half. 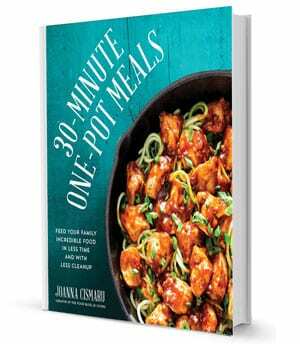 However feel free to double the recipe because you will want extra, trust me. 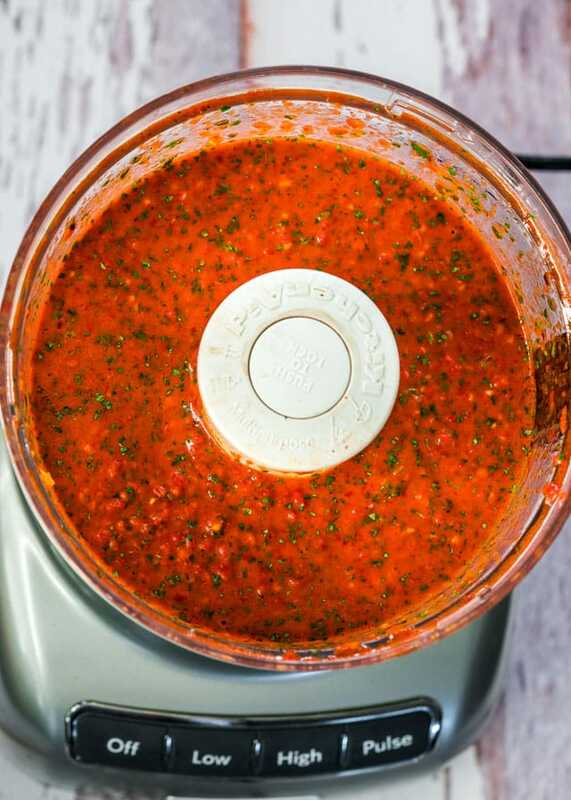 Looking at the ingredient list for this red chimichurri sauce, the one ingredient that will probably stand out to you is the Ajvar spread which if you’re not familiar with it, the main ingredients are peppers and eggplant. It’s actually almost the same as my Roasted Eggplant and Red Pepper spread, assuming you want to make it yourself. If you do, now is the time to make it because red peppers and eggplants are in abundance at the farmer’s markets now. I usually find Ajvar at my local grocery store, or any European stores would carry them as well. However, if you cannot find it, no worries, just add equal amounts of roasted red peppers and the taste will still be pretty good. You can also play with the amount of spiciness in this chimichurri sauce by adding more or less red chili flakes. If you are using Ajvar, keep in mind that you can buy it mild or spicy. The mild one has a green lid and the spicy one has a red lid. If you use the spicy one, I’d take it easy on the red pepper flakes unless you really love spicy food. These Red Chimichurri Chicken Wings are seriously crispy and best of all they are baked. 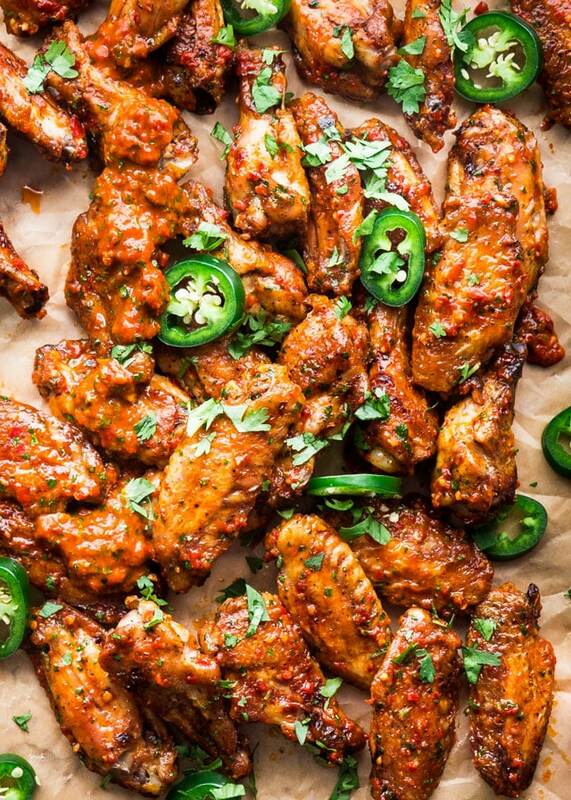 But let's face it, these wings are really ALL about that RED chimichurri sauce, and that sauce is the bomb! Preheat oven to 425 F degrees. Line a baking sheet with parchment paper. Pat the wings dry with paper towels. Season the wings generously with salt and pepper. You can do this by placing them in a bowl and seasoning them with salt and pepper or as I do by placing them all on the prepared baking sheet, season with salt and pepper then toss well. Arrange them on the baking sheet so that they're in a single layer. Bake for about 40 to 45 minutes or until they're golden crisp. 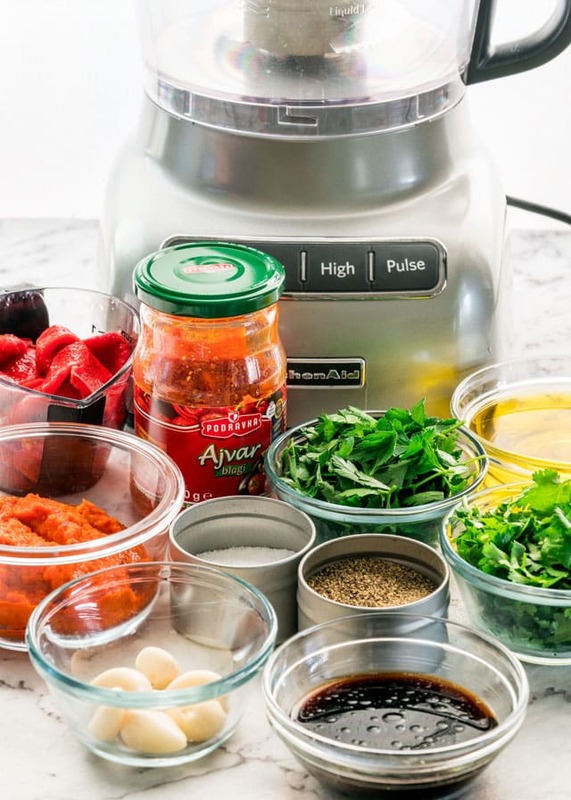 While the wings are baking, prepare the chimichurri sauce by placing all the sauce ingredients into a food processor or blender and pulse a few times until everything is finely chopped. Transfer the chicken wings to a large bowl then pour as much of the chimichurri sauce over the wings as you wish and toss well, then serve. If you cannot find ajvar spread, you can substitute it with more roasted red peppers. 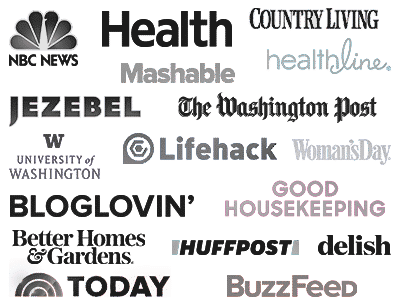 Where can I buy ajvar spread? Can ajvar spread be replaced with something else? The link you provided says the item is no longer available. I usually find Ajvar at my local grocery store, or any European stores would carry them as well. I am on my way to the supermarket right now to buy all the ingredients to make this sauce! That’s great, hope you like it! Please let me know how to reach OR to leave you alone – LOL! Thanks for bunch for everything – especially our latest loves – the Blueberry Galettes AND the Tiramisu! Hi Rosemary! You can always reach me here on the blog by leaving a comment, or email me at info@jocooks.com. Wow! 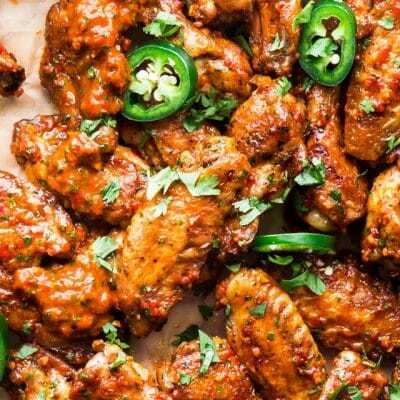 This Red Chimichurri Chicken Wings looks soo tempting and irresistible that i can’t wait to try it. Thanks for sharing this delicious recipe.